Since 2011, a barbershop called Modern Man has started to dot the Portland landscape. Their five locations look, on the map, like a wide-armed star with points at Portland hippest parts of town. The Modern Man caters especially to beards, variable as they are in this city. Indeed, it is their special pride to serve eccentricities of the current beard boom, which is as reminiscent of the 19th century as the Modern Man’s motif. The haircuts, razor shaves, and beard trims aren’t cheap: you are, of course, paying for the brand (and also a complimentary shot of locally-made whiskey or bourbon). The barbers too must look the look. Most have oiled pompadours. When I stopped by the other day the other day for a haircut, the man at the front desk was wearing a wooden bowtie. All this despite the fact that the vast majority of clients—I’m including myself here—are rather tame-looking. It’s like stepping into a time warp you never quite agreed to. Here it would be easy for me to start slinging invectives on the hipster culture’s affinity for beards—which obviously comes with a love for PBR, skinny jeans, plaid shirts and unsettling irony in the echo chamber of the internet. But since hipsters, in all likelihood, write most of the articles I read about beards that accuse the epidemic on hipsters, I won’t start down that road. Besides, I probably fit most of the descriptors of hipsters myself. See the above picture of my beard. So yes, you might consider me a bearded hipster. But I’m not going to defend beards against criticism for being a hipster phenomenon. There are plenty of other criticisms heaped on the hirsute-faced that seem equally unfair. I’m not growing my beard because I want to reclaim my masculinity. 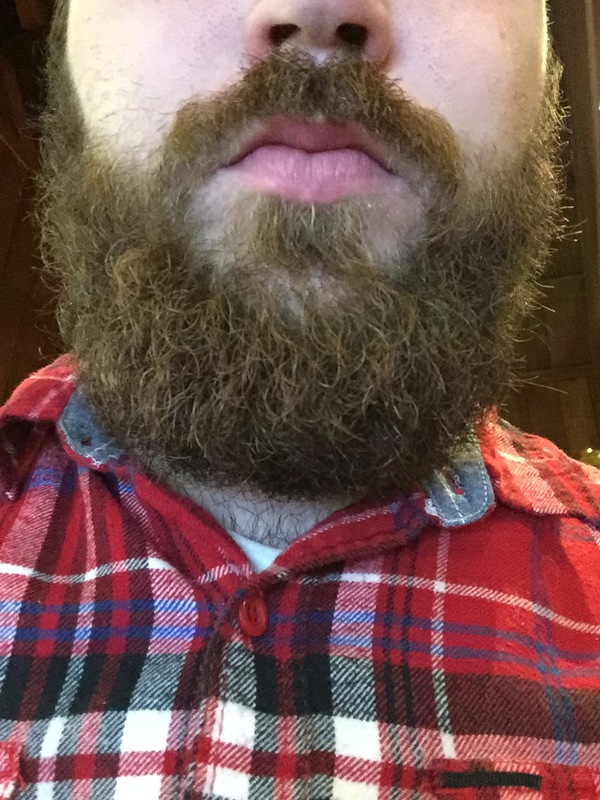 I don’t have a beard because I want to put my outdoorsy nature on display in order to be one of those notorious “lumbersexuals” (whom I have yet to meet in reality, only heard about in the echo chamber). Some will see my beard and assume this of course. I can’t stop that, nor would I want to. But I think its fair to take control of my own image. The beard in the hands of the media is always a fashion statement, always a display piece, a gaudy vase from the Ming Dynasty in our living room that we show to everyone who visits. It is something men compete with in creepy beard contests. The only thing I find more pointless than these competitions is my own beard. What have I really grown it for? To protest society’s norms, or simply out of laziness? The second is more likely, although I did grow a beard for my college graduation because I had not enjoyed my time at the University of Florida. But now I’m older, wiser, and simply bearded. Will it last forever? Probably not. Does it mean anything to me right now? No, not really. My point is that I don’t really need a reason to be bearded, other than it’s a pretty good-looking beard. But even if it weren’t, no one could surmise as much as they think they could about me. Well perhaps I haven’t been completely truthful about my beard. It does come with a purpose. I’ve been growing it since last November (Movember, that is) in preparation for my trip to Pakistan. In January, when the trip seemed like it was going to happen at the end of the month, it seemed like a great idea not trim anymore in order to fit in over there. After all, to some Muslims beards are considered sunnah. That is, they are recommended, although not required. The acceptable length is a fistful. I have that fistful of beard now. Originally I thought the beard could in some ways counteract the pallor of my skin while I was Pakistan. Maybe I would not stick out so much in the country. When I tell people I am going to Pakistan, often they remark on my beard. I took this to be a good sign until I began to do my own research on beards in the country. So what should I do in light of this? Each choice, to beard or not to beard, presents its own set of questions, like a branching set of quandaries from the initial question, or like a coin that, when flipped, asks you to flip again. On the one hand, beards are revered in the world of Islam and so I don’t expect a shortage of them in Pakistan, regardless of what one blogger says. My beard no doubt will fit in with the sea of beards. But is it a beard for the wrong reasons? I cannot be counted among the faithful. Most I’m sure will understand it as a secular choice. If they don’t, I could be in for a heap of trouble. On the other hand, I could shave my beard off. Let’s say Najeeb is right and, beards are no longer so numerous in Pakistan. As another Pakistani blogger Naureen Aqueel points out, amongst the intellectual class, beards are seen as ostentatious articles of faith. Their religion, they argue, should be practiced in private. Theirs is an argument for the secularization of Pakistan’s society. And, I suspect, for not a few them it is an argument for the freedom of their religious ideas, which might differ with some of Islam’s more stringent rules. But my clean-shaven face might be in bad faith as well. A beard in the West obviously doesn’t have the religious implications it does Over There. It may have even been rendered meaningless in our society. But it is something I have chosen. Literally, I’m attached to it. And, were I to go to Pakistan looking like a fresh-faced blogger, I would immediately set myself apart as the Westerner. What will I do? There is probably some happy medium, a cropped beard that adds years—and thus credentials in journalism that I quite frankly don’t have—and sets me apart as the sort of rugged journalist who would choose to travel to Pakistan. In that way, I get to have what I want without offending or trying to appease anyone. But then again maybe it will stay just like it is. After all, its choices like growing such a hefty and wily beard that led me to the crazy idea of traveling to Pakistan in the first place. This entry was posted in The Word and tagged beard, Beards in Islam, Birthers, Hipsters, Modern Man, Pakistan, Psychoanalysis. Bookmark the permalink.